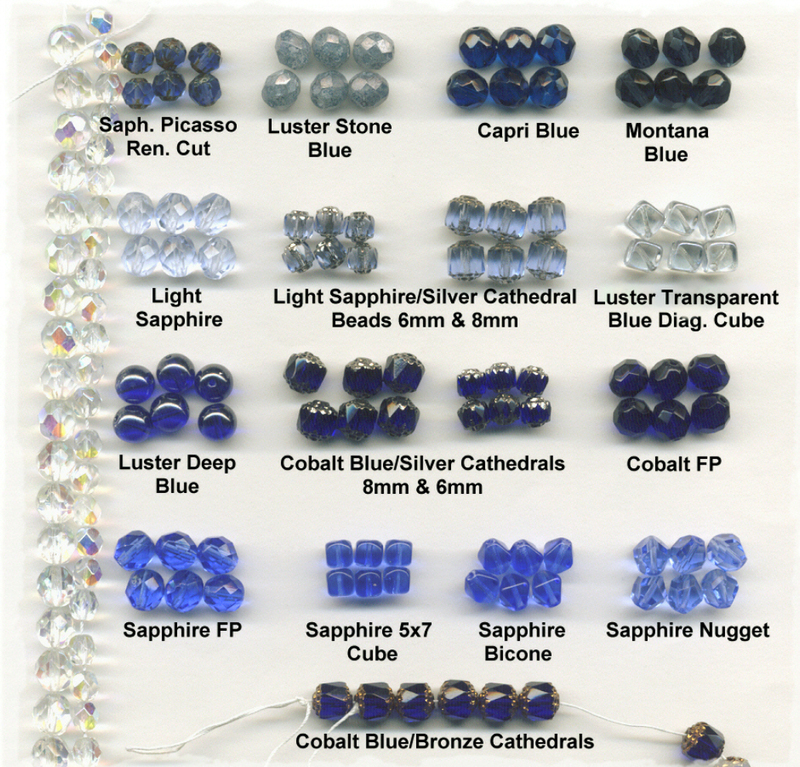 Czech Glass Pater Options: Blue (for custom rosaries only, not for individual sale). See below for more details and price information. Make your Pater beads stand out with your favorite color or mix of colors. The above picture features many of the Blue Czech glass Pater bead options along with a string of 6mm & 8mm fire polished beads in order to help get an idea of size and visual balance. Prices start at .35 (for all 6 beads) and go up from there depending on color, size, and shape. Please remember, there are other color options available in 6mm as well. If you need a 6mm Pater option, if you would like to see a picture of certain colors together or if you just need more pictures, please feel free to email me. These beads are for custom rosaries only. If you are looking for individual beads for sale, please click here to visit my bead section for crafters.